I stumbled upon MMP Living one day while browsing online for Christmas ideas for my children, I immediately fell in love with their selection & what they had to offer. MMP Living has been in business since 2006, they offer a top quality selection of toys, gifts, pet supplies & more, not only here in the US but in Europe as well. With Christmas in mind, I started browsing through the toys & came across the Kidkraft Suite Elite Dollhouse, I knew this would be a perfect dollhouse & gift for Little Sister C! The adorable Suite Elite Mansion is ready for fun & playtime, featuring colorful artwork & built to last for years to come, it is three floors tall, includes a gliding elevator as well & 16 furniture pieces are included. When my package arrived, the box was pretty heavy but I could move it on my own. I opened it up & took all of the pieces out, I was a little overwhelmed at first, there are a lot of pieces but the detailed instructions & having everything numbered, really helped! By myself, I was able to put together the dollhouse, it did take a little longer than expected but like I said, I was working by myself & I wanted everything perfect. 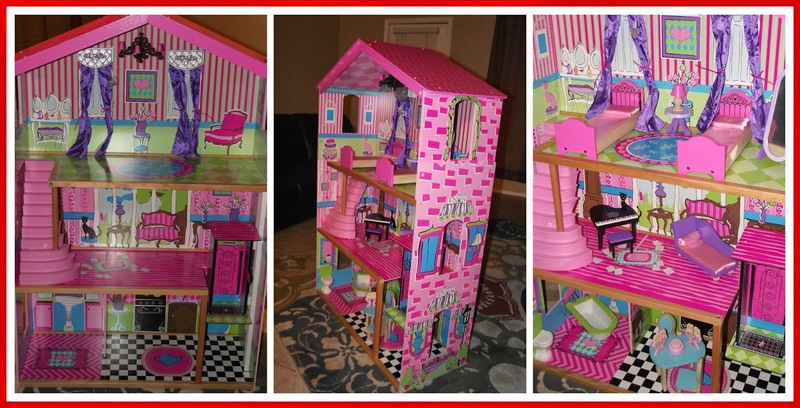 I am very pleased with the Kidcraft Dollhouse, I think my daughter will enjoy endless hours of fun, I love the attention to detail, the colors & it's nice & sturdy! Of course, I couldn't forget Big Brother C, him & Little Sister C love to play together & chase each other, I think the Hide Me Tent/Tunnel Combo in Neon will be the perfect addition to our playroom! It arrived folded up nice & neat, the tunnel just pops up when you un-velcro the sides, the tent did have a few poles to slide into place to keep it propped up. Like with the dollhouse, there are detailed instructions included, it took just a few minutes to get set up, with no tools required! I love how colorful it is & it's roomy enough for both of my children to sit in there & read or play. Of course I'm sure they will be spending most of their time chasing each other through the tunnel! I think I will have two very excited & over-joyed children Christmas morning, don't you? 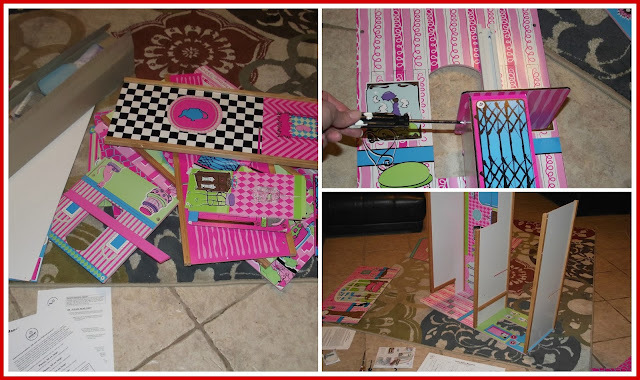 I can't wait to see their reactions to their new gifts from MMP Living! Browse around, what are some of your favorite items from MMP Living? Buy it: Purchase toys, crafts, housewares & more online at MMP Living! 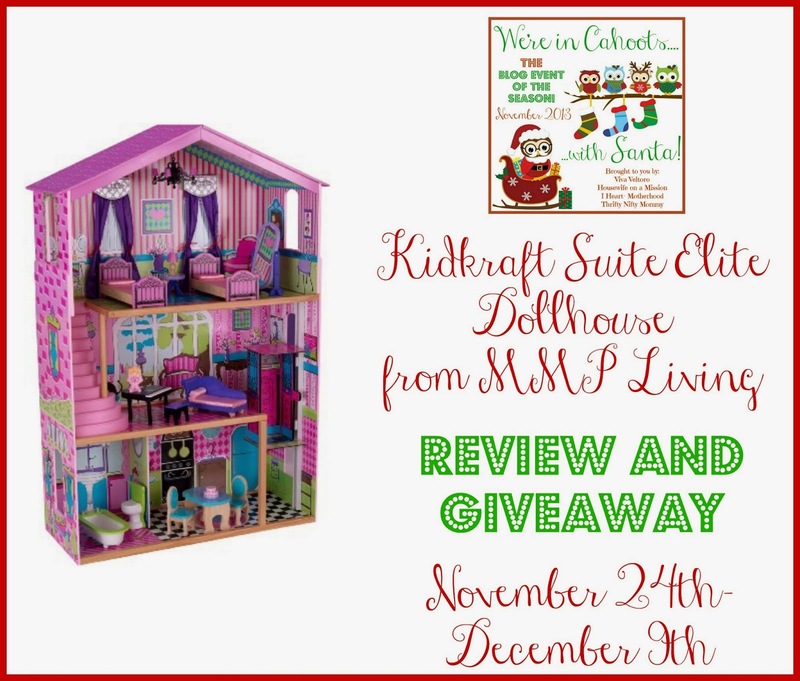 Win it: One lucky reader will win the Kidkraft Suite Elite Dollhouse form MMP Living! I like the kitchen helper stool. the car trash bag thing would be awesome! I like the plasma car! the kitchen helper is nice!